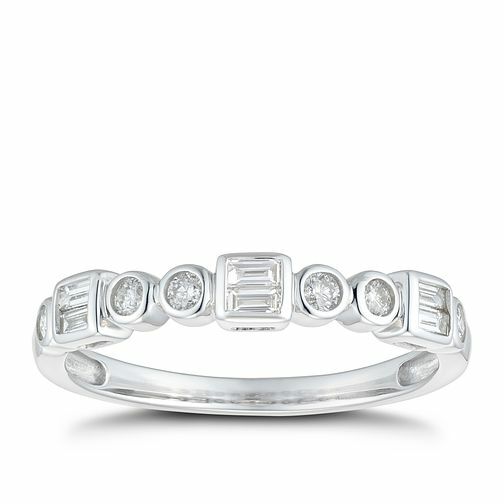 Diamonds are forever, and this heavenly ring encapsulates eternity in elegant fashion. Made from beautiful 9ct white gold, this ring presents a combination of round and baguette cut diamonds, dazzling from every angle. The perfect enchanting ring to symbolise eternal love.